Cheers! It's Monday! I really need to scrap a lot more photos from 2014. My kids are growing so fast now. I was just looking at my daughters hands and I can't believe how big they are getting. 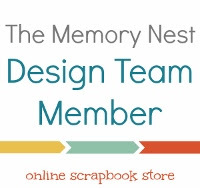 Anywho, I wanted to share this layout I made for the Memory Nest make it Monday. As you can see, I definitely went on a bit of a journey with this layout. Mostly, it was because I really had three photos that I wanted to use to tell the story. So what I ended up doing, was I kind of zoomed out from the layout and expanded on it. It's kind of a fun challenge to see how you can expand on a layout sketch. 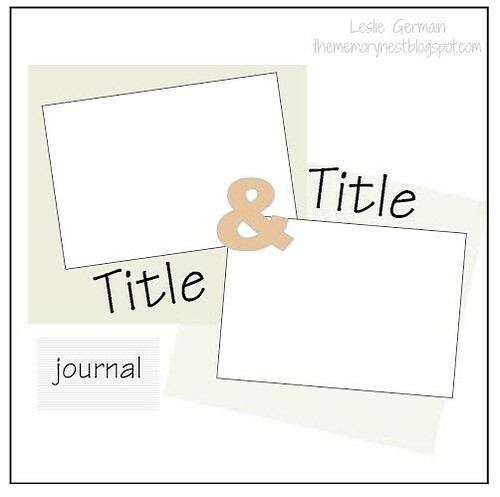 Now that I'm making two scrapbooks, one for each of my kids, I've been trying to challenge my self with different ways on to tell the same story. This page is clearly for my little guy and how he slept through our entire hike of Mr. Rainier. I can't wait to make one for my daughter and I'm planning on making it from her view! It shall be very different. So, I'm still on my purple kick. 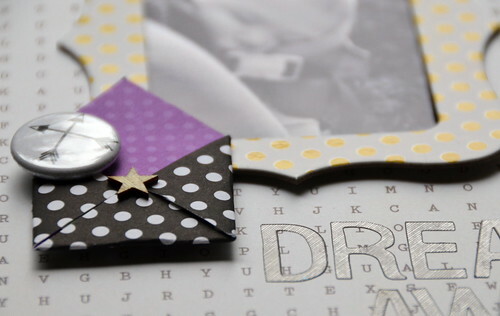 With so few embellishments, I decided to make this black and purple dotted mini envelope. One can never have enough dots! I was planning on using some purple alphas for my layout, but alas, I didn't have enough A's! Love the journey you took and the purple you have been using!!! Amazing layout. 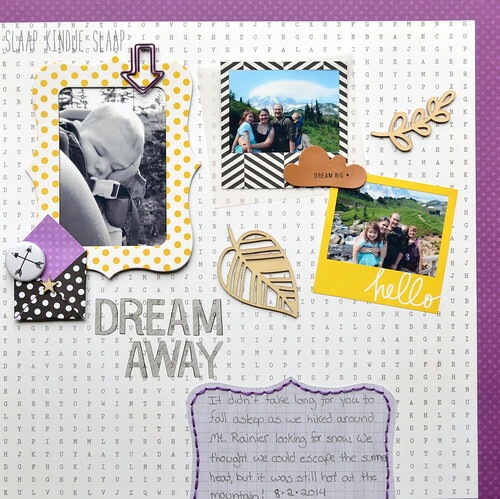 I think it is so neat to see how people interpret layouts for their style and number of pics they have! Fabulous!!! TU!! Such a cute little envelope - nice touch, must remember that idea! Alphas are such a pain, I sometimes think there should be a big box where you can put unused ones and swap them with other scrappers or maybe manufacturers should just wise up. Great layout. 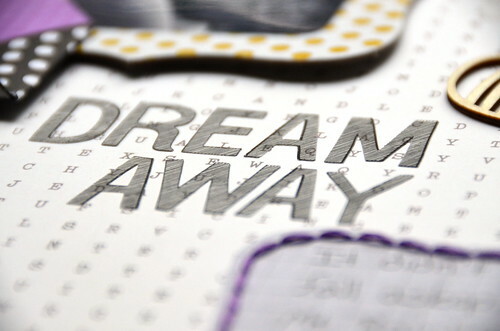 I like how you framed your photos and that you hand wrote your journalling.